Mike Rosenberg is a writer and gamer and has been part of the Magic text coverage team since 2011. He joined Wizards as organized play’s content specialist in June 2014. With 2018 under way, it's time to share with you some of the first details about this year's Nationals and the World Magic Cup! With the return of Nationals last year, we saw many players excited to have a beloved tournament return to Magic's competitive realm. We're happy to say that the return of Nationals was a success, and we will once again support Nationals in all 73 countries represented at last year's World Magic Cup. The framework from last year will remain. 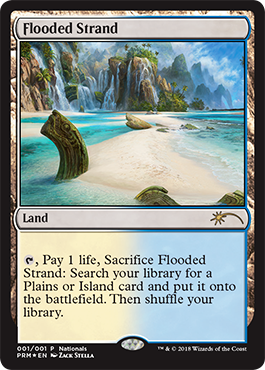 The formats for each Nationals will be a mix of Standard Constructed and Booster Draft, with a Top 8 playoff of Standard. Players will be qualified to play for their country's Nationals by means of a Planeswalker Point threshold, ranging from 100 to 500 for each country. You'll note that these weekends correspond with Grand Prix. Rest assured that we will be working with organizers in each country to help them find the ideal weekend, and we will be working with organizers to mitigate any potential overlap between events that are close together as much as possible. Finally, we learned some lessons on what players are looking for in their respective events, and we collected a lot of feedback from various countries and players on last year's implementation. We're looking to adjust the Day One and Day Two requirements as well as the number of rounds held at each Nationals, dependent on the expected attendance for each country. We'll have more information on these exact changes in March, when we publish the 2018 Nationals schedule and event information page. In the meantime, here's a look at what you'll be able to get for participating in your country's Nationals! The 2018 World Magic Cup, which takes place December 14–16 in Barcelona, Spain, will once again feature Team Sealed using the most recent Standard-legal card set as well as Team Unified Standard Constructed. Each country's team will again be composed of the top Pro Point earner from that country via the 2017–18 season and the two finalists from each country's Nationals. In the event one of the finalists is unable to attend, or if one of the finalists is also the top Pro Point earner of that country, one of the spots will pass down to the 3rd-place finisher from that country's Nationals. We're looking forward to our second year of Nationals after its return, and we hope to see some of you in Barcelona in December as we close out what will be an exciting 2018 with one of Magic's most unique tournament offerings!